Requirements: High thermal inertia for passive performance, speed of construction and Section J compliance. Product supplied: THERMOMASS Building Insulation System. 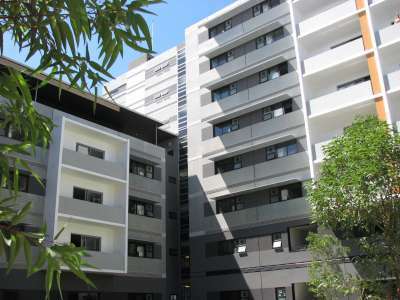 Designed by Architectus Sydney, the Village is a sustainable, comfortable home for over 1,000 students. 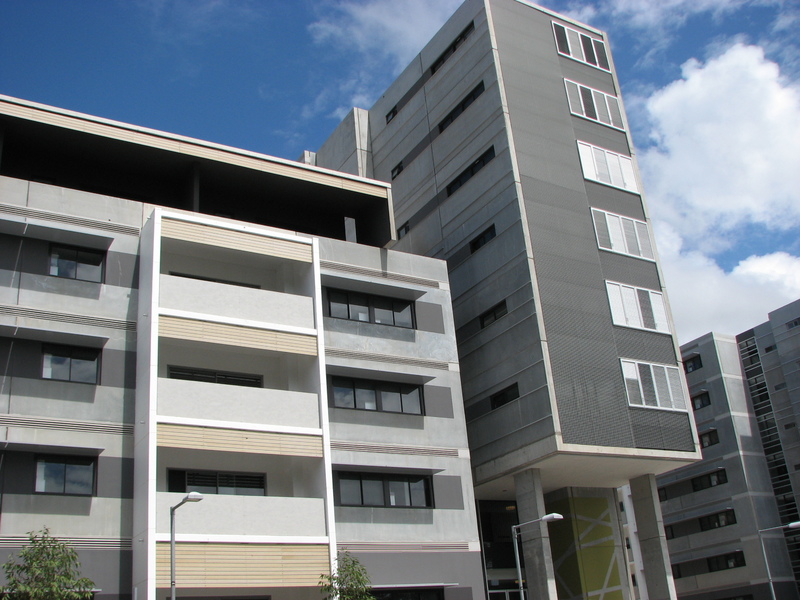 This project especially demonstrates the way that concrete can contribute to attractive buildings that complement both the heritage buildings in the vicinity and the natural environment. The use of the THERMOMASS insulation system for concrete sandwich panels not only hastened the building time, but continues to deliver overall energy savings for the life of the building. 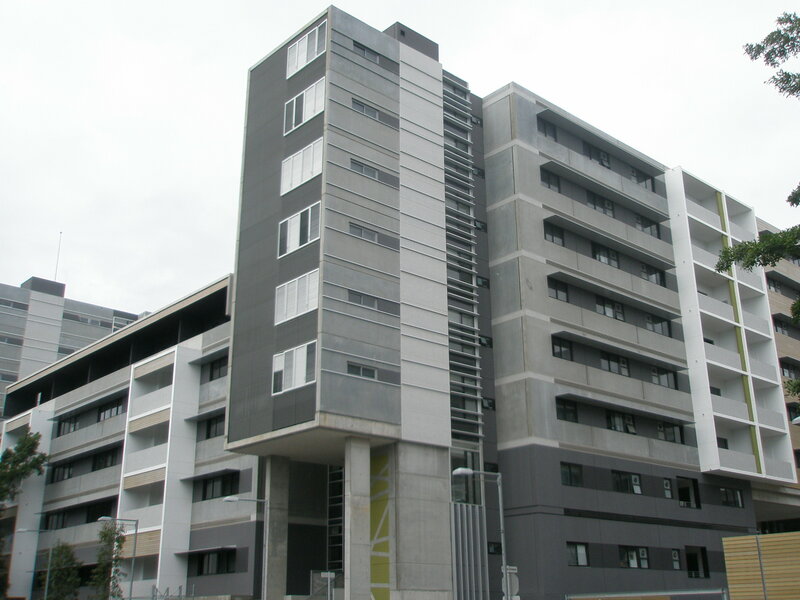 The high amount of thermal mass on the inside of the building regulates the temperature on the inside of the building by absorbing and releasing heat energy. With excellent use of ventilation, including vented floors, The Village can be kept cool in summer and warm in winter while use less energy in achieving the desired temperature. Architectus has also featured this project on their website.